Time seems so short and exercise frequently falls by the wayside for many of us, so my husband decided to use a sunny Sunday in the park as his opportunity to get a mini-workout! 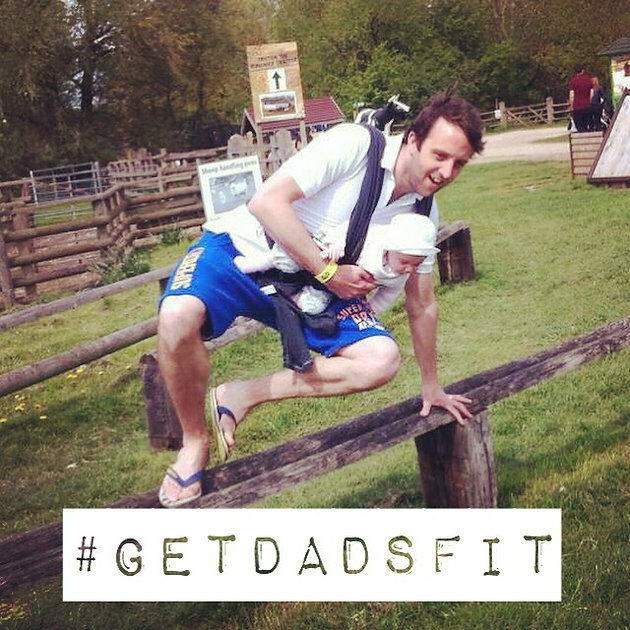 The wonderful mummy blogger Emma (from Island Living 365) made a joke about #getdadsfit and as a result this hashtag came into existence. So let’s use this as an opportunity to #getdadsfit this summer and educate our little ones on the importance of exercise for a healthy lifestyle! Get involved and post your photos/videos of mums and dads getting fit with the kids this summer using the hashtags #getdadsfit #summerfitparents !